It’s not easy to deal with your own sense of failure when you don’t follow through on something you intended to do. Dealing with a lifetime of not meeting your own expectations is emotionally crushing. Over time, it limits the type of risks you take in your life. Putting off what needs to be done affects how successful you are in all areas of your life. Sometimes we put off doing what we need to do or want to do because we expect it to be unpleasant. This can cause us to procrastinate. Sometimes, the physical environment is one source of anticipated discomfort. There are many reasons we have difficulty with procrastination. In this post, I’m going to focus on ways to make the environment friendlier so you can get things done! Set up your work area so you get started and follow through! Outsmart procrastination by setting up your work area to fit your natural processing style. Each of us works in a unique manner. When we stay within this optimal zone, we are at our peak performance. Adjust your work environment to match your style and your tendency to procrastinate will diminish. What is your optimum concentration time? Do you work more productively in short, controlled bursts of less than 20 minutes? Can you maintain your level of productivity for 20 minutes or more, take a short break, and get back to the same task? Pace yourself in line with your ability to concentrate. Change tasks when you need to in order to refresh yourself. What ergonomic elements affect your performance? Do you work better standing, sitting or moving around? If regular movement is vital to your performance you can use several strategies to lessen procrastination. Set up separate workstations and alternate between them. 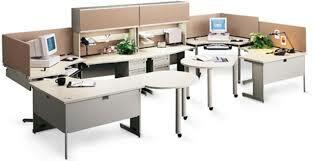 Work stations can be identically outfitted, or set up for different tasks. Build in regular movement by running errands at strategic times during the day. Alternate between periods of focused concentration and revitalizing movement. Experiment with different types of chairs to find one that boosts productivity. A balance ball chair helps maintain correct posture and reduces fatigue for some people. 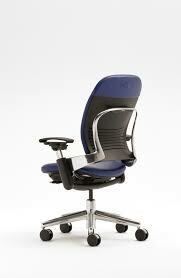 Bouncy or swivel chairs can help stimulate the part of the brain that regulates alertness. Sounds in the environment are a powerful factor in performance. Identify any source of distraction or stress and eliminate it. If you are distracted by noises or conversation – wear earbuds or close the door. If you’re the type who works better when you listen to marching bands – then wear earbuds and play productivity music. Maybe you will work better if you calm down your overwhelm or stress. Set out a desktop fountain or play nature sounds. Put reminders of your cherished goals and memories in full view. We are at our most productive when we feel empowered. Surround yourself with reminders of your successes and your cherished connections. Set out pictures of your family. Put items in your work space that symbolize your successes or deeply held values. This will empower you to bring forth your best effort! …download my free guide. It will help you uncover the conditions under which you work best. In order to stop procrastinating, you need to be able to focus and stick with a task until it’s completed. My free guide walks you through the process of discovering your focusing super powers. Knowing your strengths will give you direction on how you can adjust your life to beat back procrastination. ADHD coach and board certified educational therapist. Dr. Kari, helps women conquer their biggest ADHD challenges. She assists women in getting focused, organized, and motivated. She helps them get unstuck, finish what they start, and accomplish more every day! I wanted to write to you and tell you that I have been sitting watching TV and my hands have been clasped for three hours straight! I was a compulsive nail biter and nail picker for fifty years, and now it’s a miracle that I’m (my hands) are so relaxed. 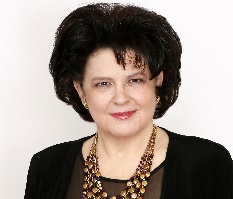 Dr. Miller capitalizes on her expertise as a learning specialist and ADHD coach to help women find unique and exciting strategies for managing their ADHD challenges. Through her group and individual coaching programs and online supportive community, she encourages and inspires women to set their sights high and make big changes in their lives! This entry was posted in ADHD and tagged ADHD, procrastination, self improvement. Bookmark the permalink.